In 1831, when Charles Darwin boarded The Beagle for its five-year voyage of exploration, ships navigated with the help of chronometers, which showed the precise time at a reference location. That time, when compared to the local solar noon, could be used to determine current longitude. To ensure precision – the motion of the waves affected timekeeping – a ship needed at least three chronometers. The Beagle had 22. Like the nineteenth-century voyager, the modern engineer prizes redundancy, in the form of back-up and failsafe mechanisms (most would consider the standard triplicate provision to be adequate). Economists, however, privilege efficiency over redundancy – an approach that, despite its obvious merits, also has shortcomings. To be sure, it would be a caricature to say that an economist’s perspective disparages backups in safety-critical systems. But, when it comes to investment decisions, economists focus on the most efficient use of resources, as revealed by cost-benefit analysis. There is obviously a lot of sense in this: public policy – whether spending taxpayer money or regulating business – should return as much value as possible. 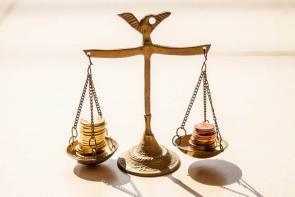 The cost-benefit analysis helps to ensure that excessive optimism does not lead to wasteful spending. It can also avert the strategic gaming of investment decisions, driven by, say, competition between regions or among suppliers for taxpayer-funded projects. In a new book, The Cost-Benefit Revolution, the American legal scholar Cass Sunstein applauds the gradual expansion of reliance on cost-benefit analyses to guide regulatory policy in the United States since the 1980s. Other countries also use cost-benefit analysis, with the United Kingdom’s Treasury, for example, publishing a manual on how to conduct one. But efficiency isn’t everything, and the long-term benefits of an investment are not always clear from the start. In fact, we should be glad that earlier generations were not tethered to cost-benefit analysis. In Victorian London, the engineer Joseph Bazalgette built a sewage system with enough capacity to last for over 150 years; it is only now being expanded. Thomas Jefferson thought that the Erie Canal project was madness, yet its cost – around $100 billion in today’s dollars – was recouped relatively quickly. No economist wielding plausible estimates of discount rates and expected benefits would have supported the construction of the Sydney Opera House – or any of the iconic municipal buildings gracing many cities worldwide; utilitarian concrete cubes would have been far more efficient. The challenge is to distinguish potentially iconic projects from the more common white elephants for which operational and maintenance costs are out of line with value. And construction often ends up costing far more than anticipated. Bent Flyvbjerg, an expert on mega-projects, describes them as “over budget, over time, over and over again,” showing that nine out of ten have cost overruns – often of 50% or more of the original estimate. Part of the challenge in assessing major or (potentially) iconic investment projects is that standard cost-benefit analysis does not work for projects that are likely to change significantly the economy’s growth rate, as the Erie Canal did, by stimulating trade. It works only for smaller marginal decisions. It certainly does not account for the power of narratives to shape economic outcomes, as described by the Nobel laureate economist Robert J. Shiller. Economists should recognize the limitations of cost-benefit analysis and offer a more rigorous method for analyzing the non-marginal, non-linear feedback mechanisms that affect major investments. More broadly, efficiency cannot be the sole criterion for organizing the economy. That should have become obvious a decade ago, when the systemic vulnerabilities of financial markets, with their single-minded focus on profit maximization, were laid bare. Similarly, just-in-time supply chains – which cut costs by reducing the amount of goods and materials held in stock – have proved vulnerable to natural disasters (like floods) or other disruptions (like worker strikes). At a time when protectionism is on the rise, the risk of trade disruptions is only increasing. From a political perspective as well, optimal efficiency is not always desirable. In a democracy, reconciling conflicts of interest among stakeholders may require that we sacrifice some efficiency. One might think of it as a form of redundancy that delivers political resilience. Determining exactly how much efficiency should be sacrificed, and in which cases, is never easy. Even The Beagle may have overdone the redundancy: it returned in 1836 with 11 of its onboard chronometers still working. But given the long-term impact of Darwin’s work on that voyage, the benefits vastly outweighed the unnecessary cost. 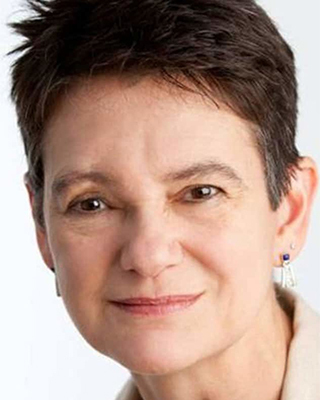 Diane Coyle is Professor of Public Policy at the University of Cambridge. This content is © Project Syndicate, 2018, and is here with permission. This line of thought also applies to disinvestment. Working example: Holcim, now a near-monopoly supplier of cement to Godzone, has systematically closed all onshore cement production plants - the last being at Cape Foulwind, just south of Westport. We now import the stuff, at risk of the JIT supply chains, FX rates, and one company's pricing policy. This pits public against private, strategy against tactics, and so on. In a time where housing construction is needed, and such a basic commodity as cement is imported, this all seems a bit nuts. This and similar cases are where inefficiencies could serve the longer term quite well. I had a friend who tried to start a cement works... he could not even get Resource consent to get the sand.. so gave up without having left first base.. It's all very well blaming a lack of investment, sometimes there is an eager willingness to invest in sensible projects but impossible to get RC... nz seems to be getting more difficult to get consent but the desperation for housing has at least freed up Auckland councils perspective although still horribly slow and regulated.